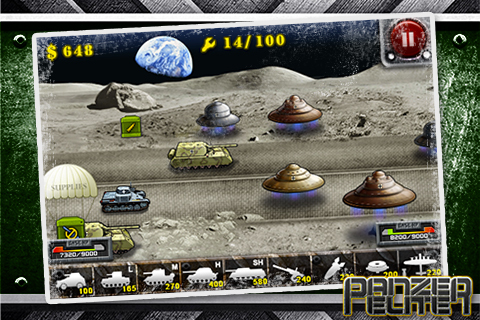 Wonder secret weapons "UFO" and spaceship developed by the Nazi scientists during the World War II Then Nazi spaceships are sent to the "dark side" of the Moon to establish a military base. Their plan is to build a powerful fleet and return to conquer the Earth. Now commander! Lead your panzer army to destory them. 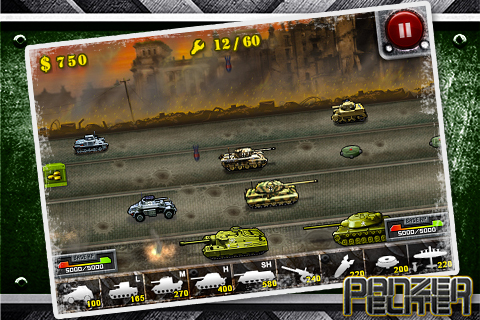 In this realtime strategy game, you control units such as armoured car, many kinds of tanks, bomber, landmine, artillery,anti-tank gun. Crush your opponents with clever tactics and do not allow setbacks happen because enemies will become more and more stronger. 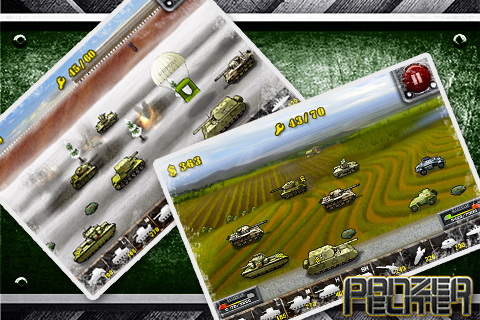 In order to win, you must collect points to upgrade your units(econmic, base, tank's speed, tank's fire power, ...)collect air-dropped material as much as possible, produce units to destory your enemies and conquer your enemy's base. 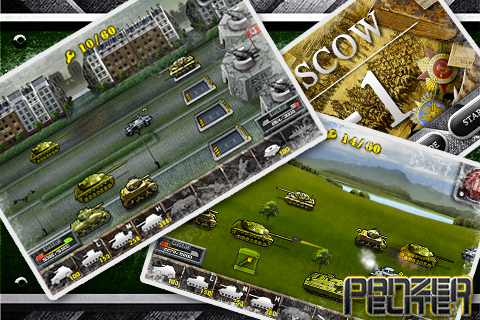 Many Classic Panzer Tanks(Tiger Panther T-34 M4A1 M26) and famous battle scenes in game. 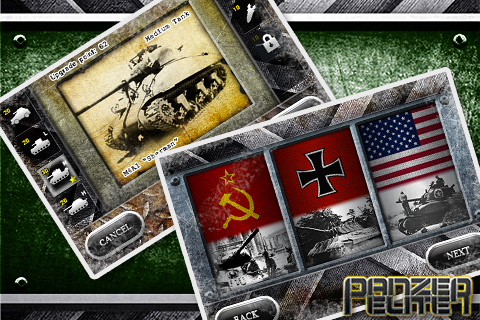 - Choose 3 camps:American,German,or Soviet. - 27 types of panzer units. - 9 military music as bgm. - many air-dropped materials for scramble.